Established in the 15th-16th century by the Sayyids and Lodis, the vast grounds of Lodi Garden of the Delhi city of India have become a walker’s delight. The several tombs situated in the garden belong to the Lodi and Sayyid Era and include Muhammad Shah's Tomb and Sikander Lodi's tomb. The tomb of Mohammed Shah, who was the last ruler of the Sayyid dynasty, is the earliest of the tombs in the garden built in 1444. The Gumbad tomb is built in the usual square pattern, with a 'double-storied' appearance, has plasterwork, with floral patterns and Quranic inscriptions on its ceiling. One can still see the traces of the blue tiles that once adorned it and gave it the name of 'Glazed dome'. There are several graves inside it. Sikandar Lodi's Tomb is built in the octagonal pattern, similar to Muhammad Shah's tomb. The chhatris over its roof have been defaced. Another interesting construction here is the 'Athpula' Bridge, built by Nawab Bahadur in the 16th century, during Akbar's reign. This bridge is called Athpula (eight bridge), as it rests on eight piers, forming seven arches. Besides these tombs, one can also visit the National Bonsai Park developed here, which has a delightful collection of miniature versions of several trees and plants. They look beautiful at sunset under soft light. Originally known as the Lady Willington Park, it was renamed Lodi Garden after Indian Independence in 1947. 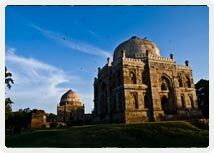 Lodi Garden and the historic structures within its complex are maintained by the Archeological Survey of India. The beautiful and peaceful surroundings of the Garden attract visitors from far and wide. 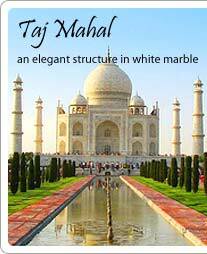 It has become a famous venue for morning walk and yoga sessions for the people who reside near the Garden.